When you donate a bundle of books to fill the bookshelves at home and in the classroom for local children, you’re helping to change the story of children across our region. United Way of Central Carolinas, along with Child Care Resources, Classroom Central, Read Charlotte and Reach Out & Read, is hosting a virtual book drive with the goal of helping kids build a love of reading while building their libraries at home and at school. The book drive benefits local literacy organizations who distribute books to kids who need them most. In Mecklenburg County, organizations rely on approximately 95,000 new books annually to operate. Growing up in a household with books is imperative to a child’s learning, but 61% of low-income families have no books at all in their homes for their children. The most successful way to improve the reading achievement of low-income children is to increase their access to print. Give now to Change a Child’s Story. 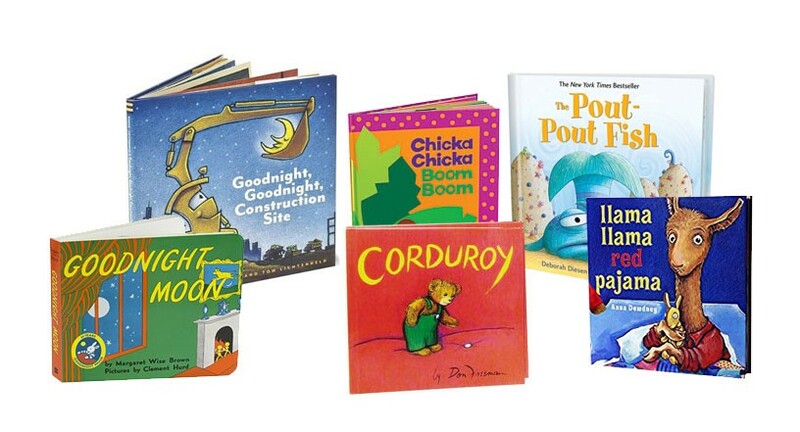 Provides 10 favorite books like Corduroy, Llama Llama Red Pajama, and Brown Bear, Brown Bear, What Do You See?